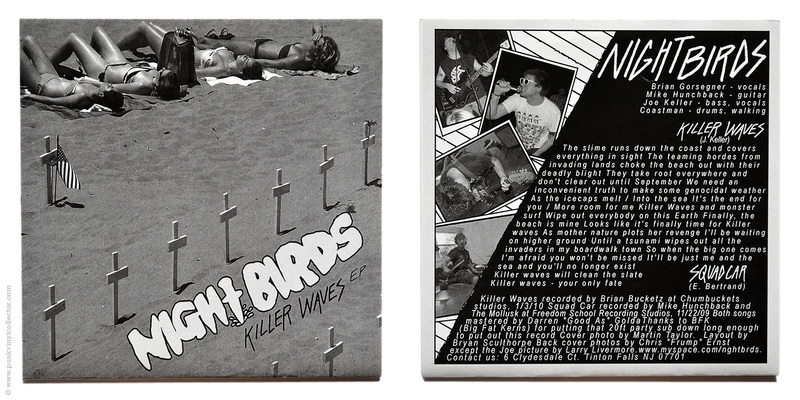 Special info: The band bought 150 copies directly from the label and didn’t like the standard single series cover, so they xeroxed their own cover to it and called it “Killer Waves EP”. 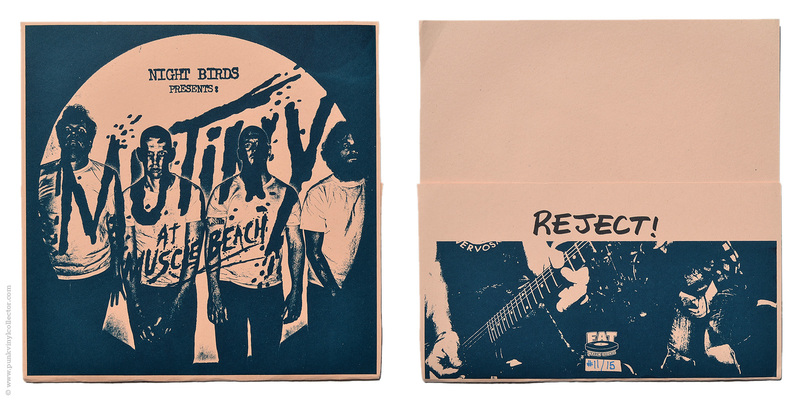 The “band sleeve” version also comes with a self-made burnt CD-R with the songs of the EP. 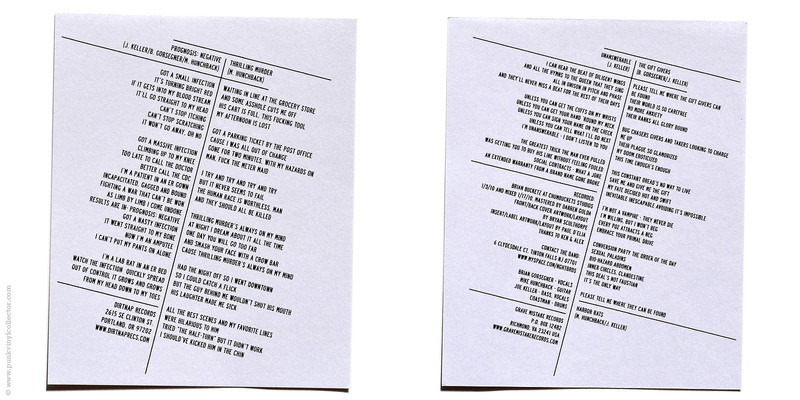 Special info: All versions come with lyric sheet and download code. 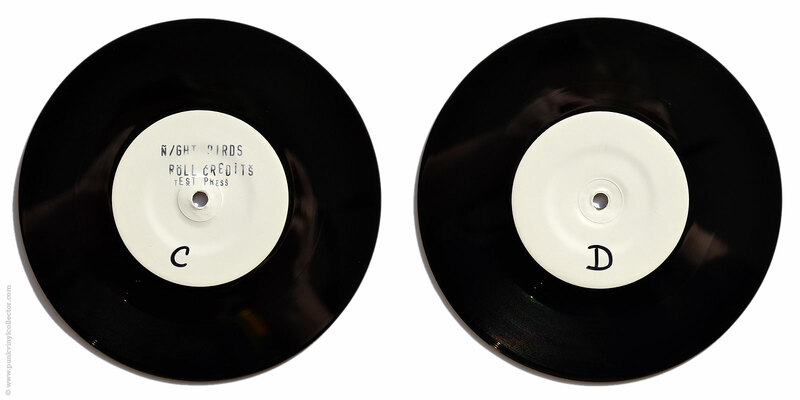 Special info: All pressings and versions come with a download code. 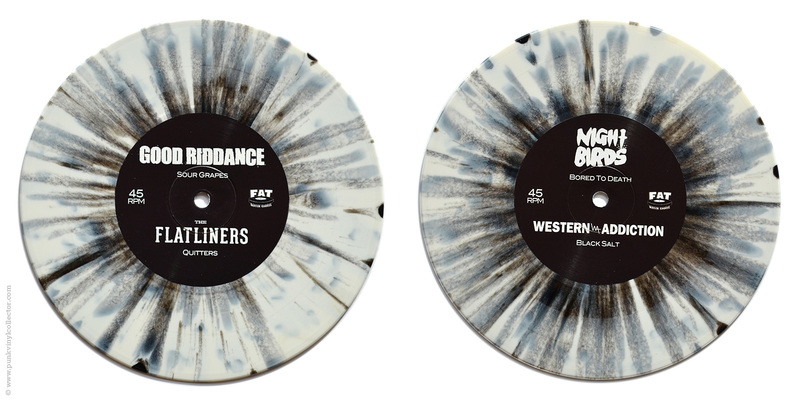 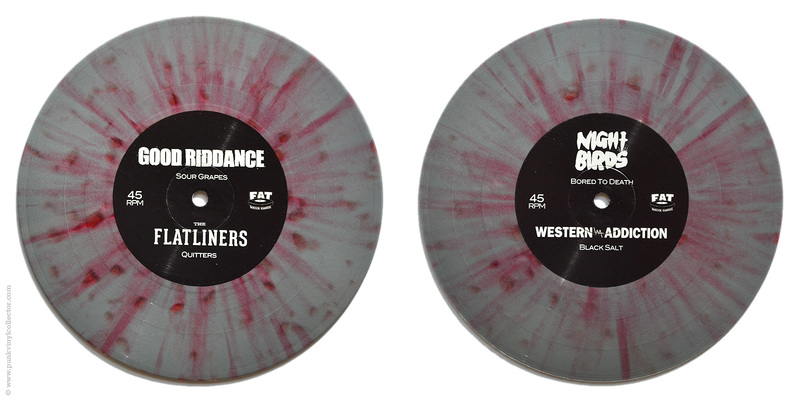 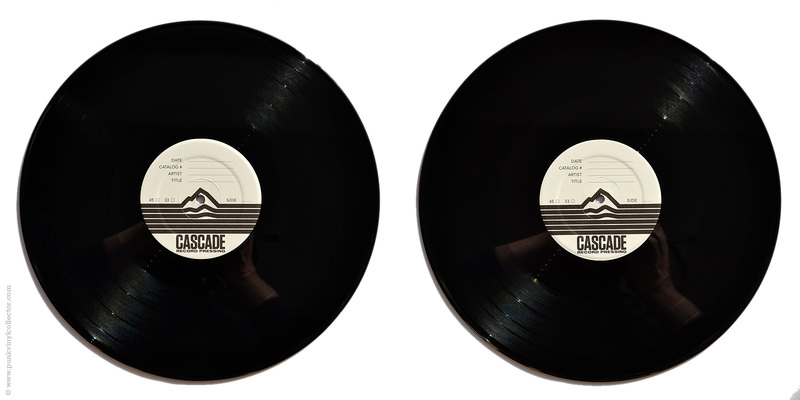 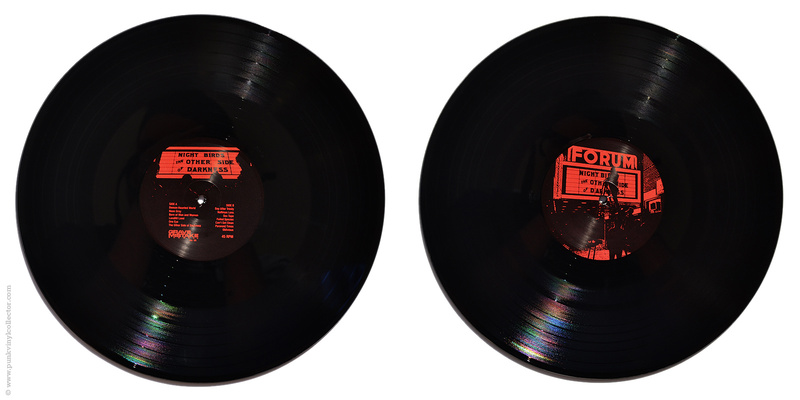 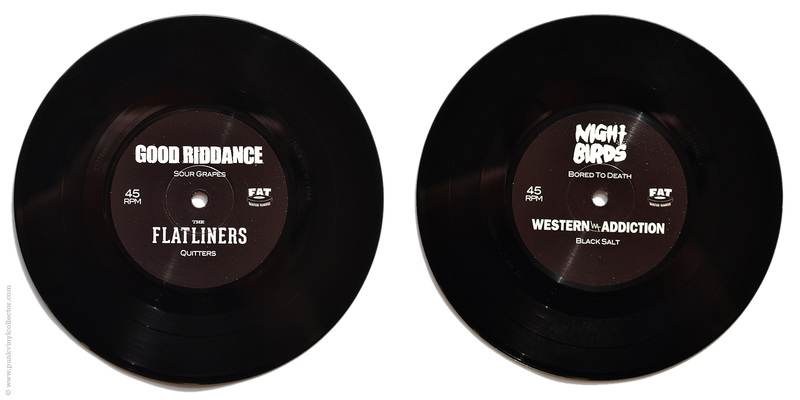 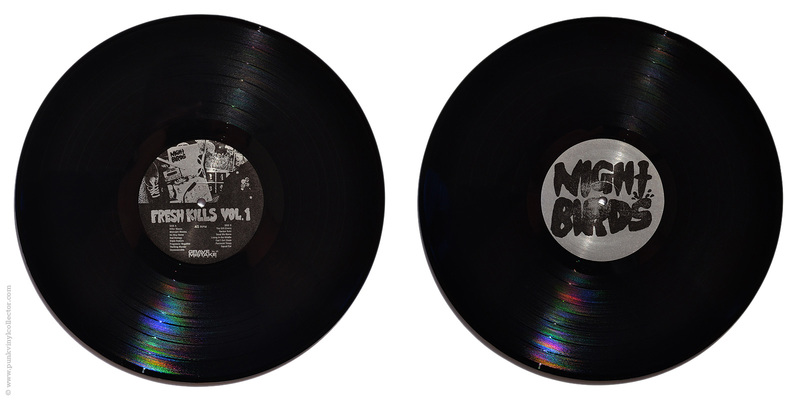 The 3rd pressing is 100% identical to the 2nd pressing, also from 2012 (black/red label). 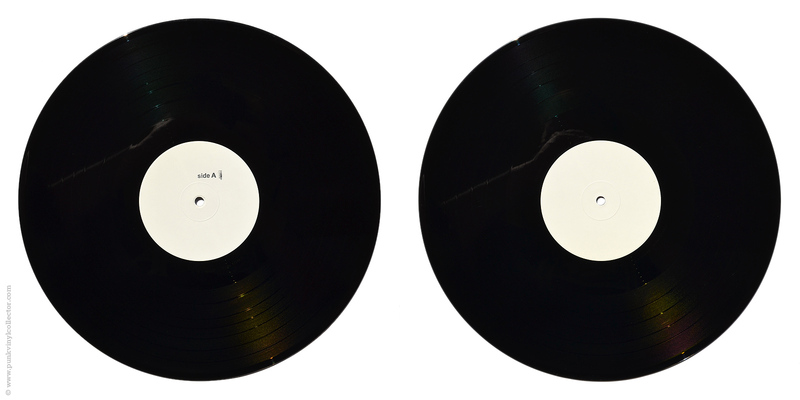 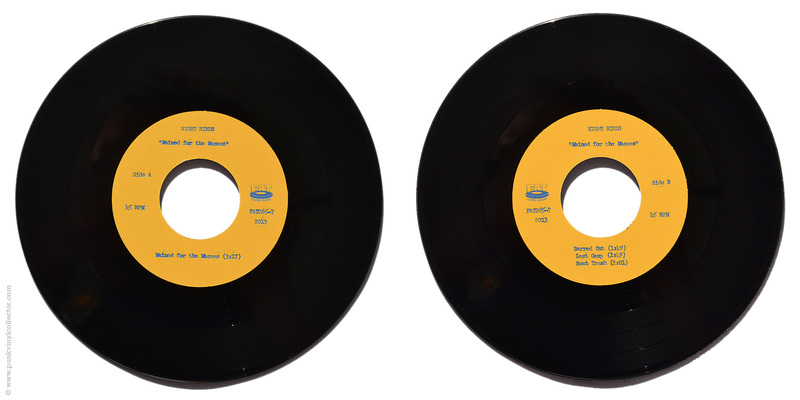 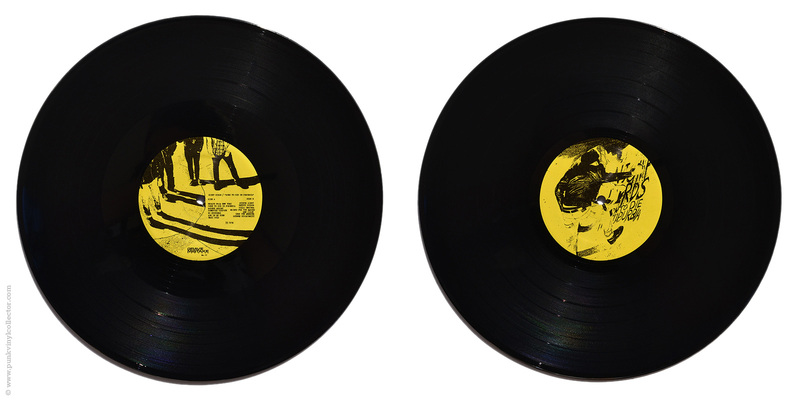 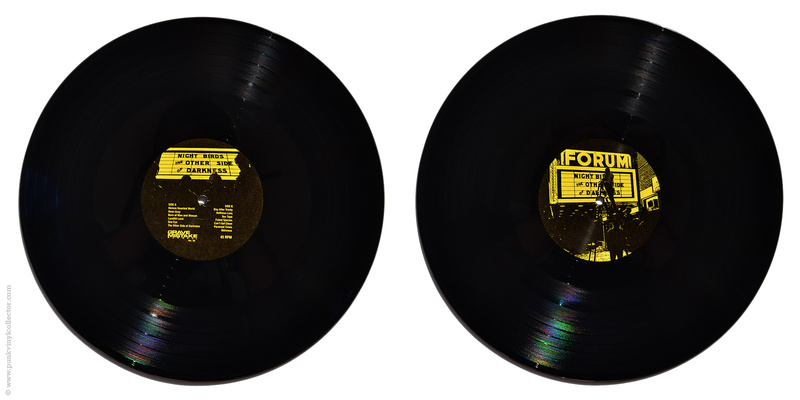 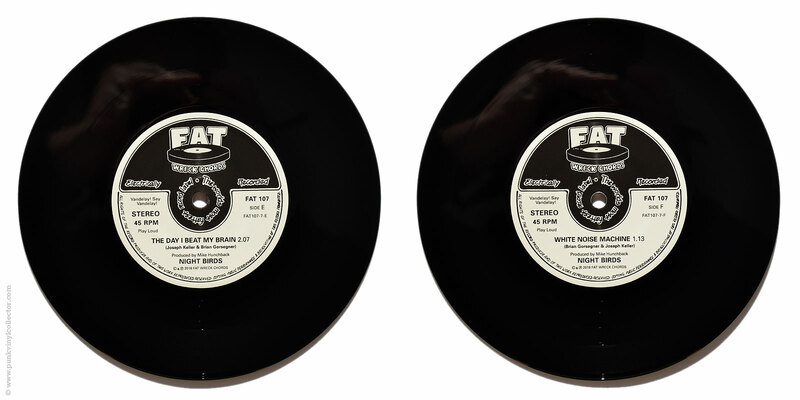 The vinyl of the 4th and the 5th pressing are also totally identical (black/yellow label), but the jacket of the 5th pressing is thinner (20pt vs. 24pt). 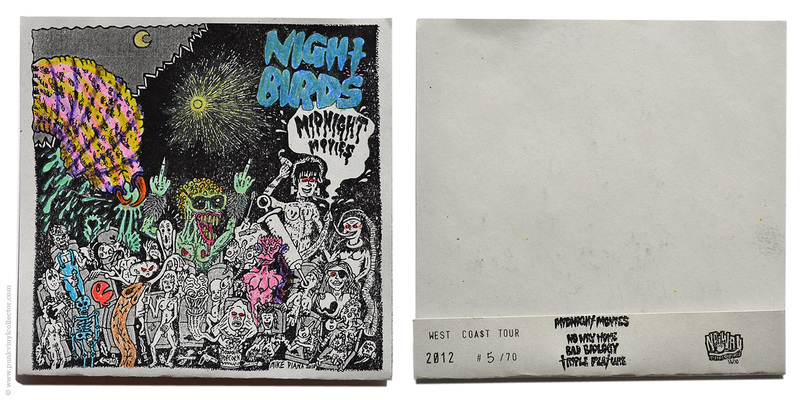 Special info: Comes with lyric sheet and flyer for the European Tour 2011. 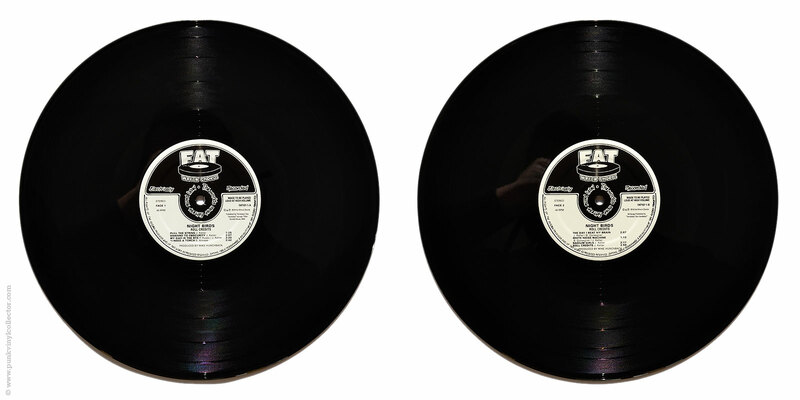 There are several EU pressings that are all the same. 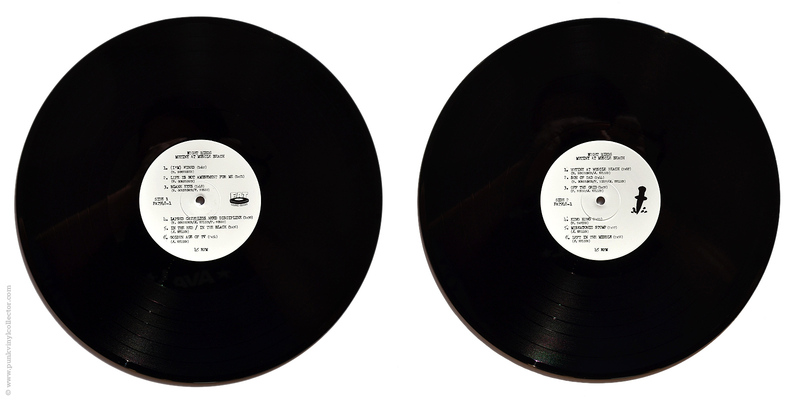 The cover of the EU pressings is a bit lighter than the one of the US pressings. 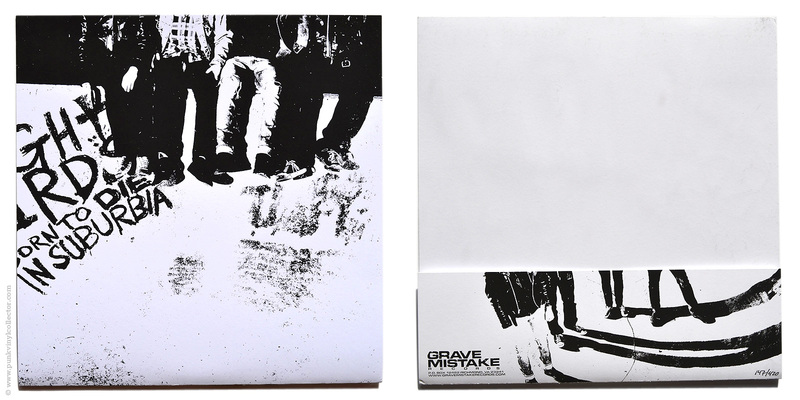 Special Info: There is also a 3rd pressing from 2014 that is identical to the 2nd pressing. 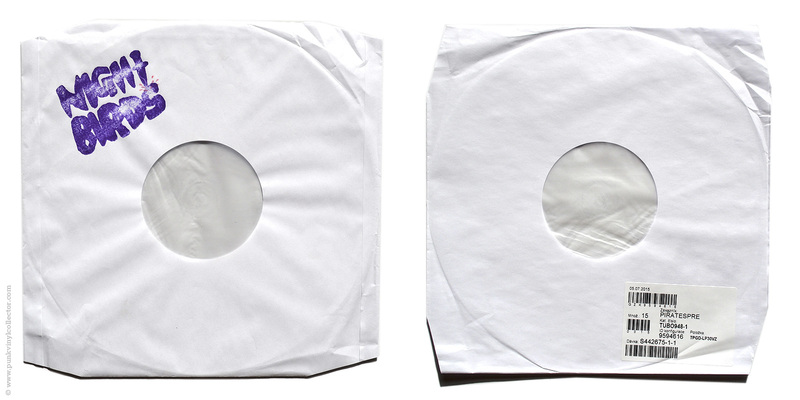 All versions come with a download code. 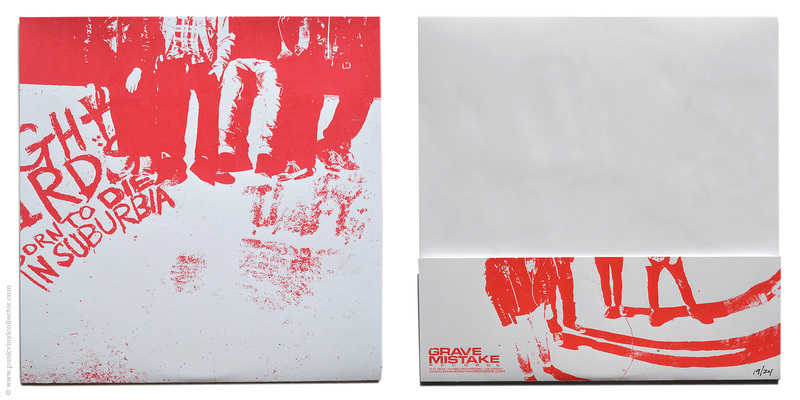 Special info: Comes with lyric sheet and Grave Mistake insert. 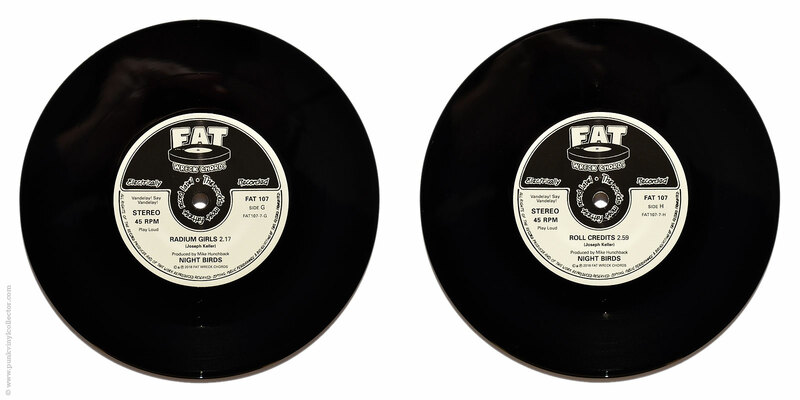 There is also a 2nd pressing of the standard weight edition which is absolutely identical to the 1st pressing. 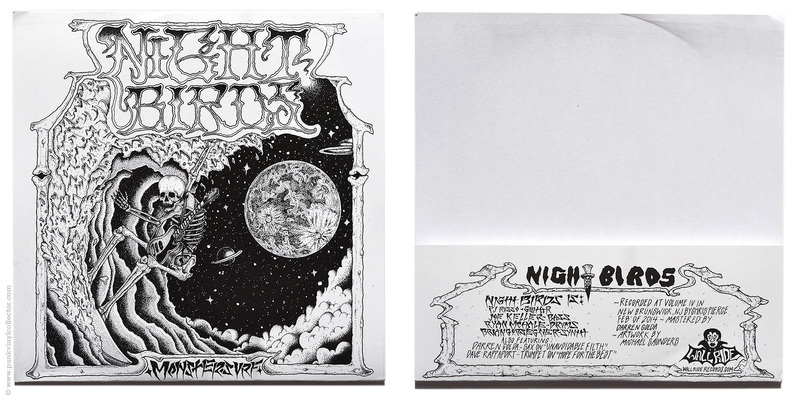 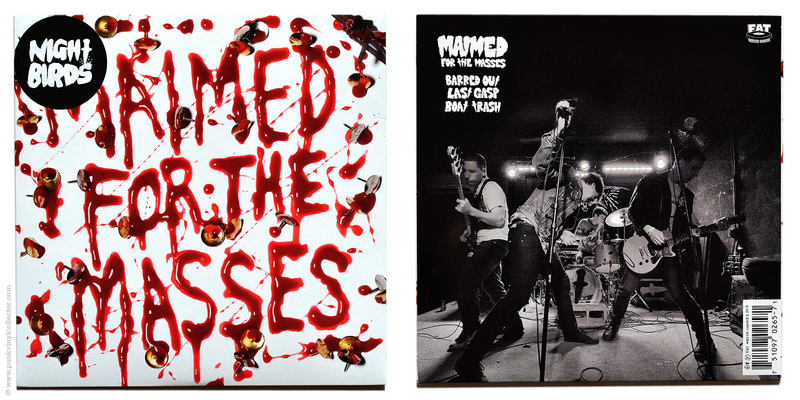 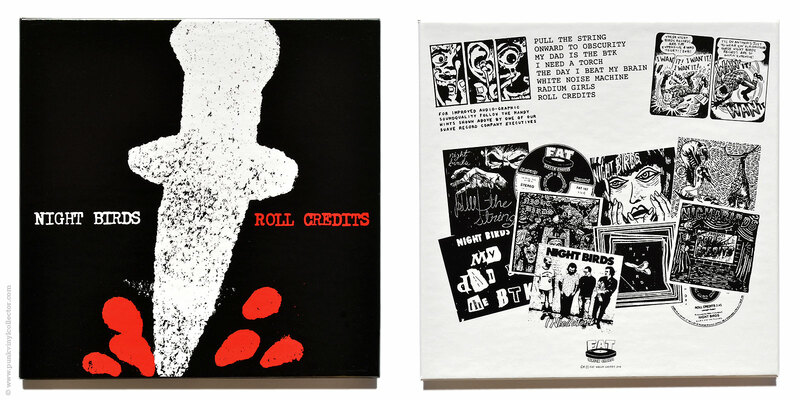 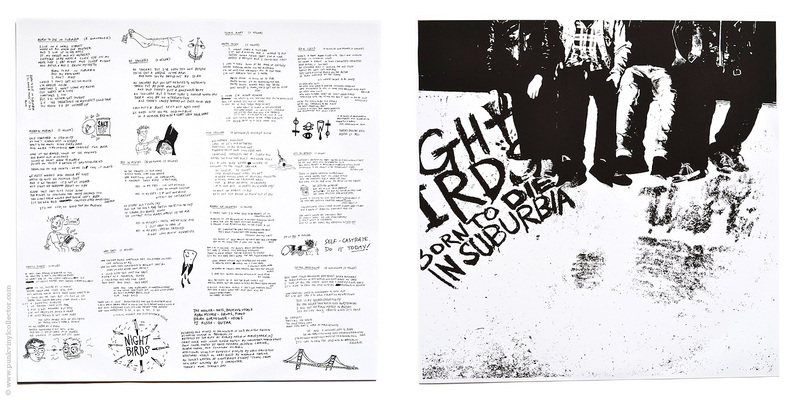 Special info: Comes with download code, poster and Mosher’s Delight insert. 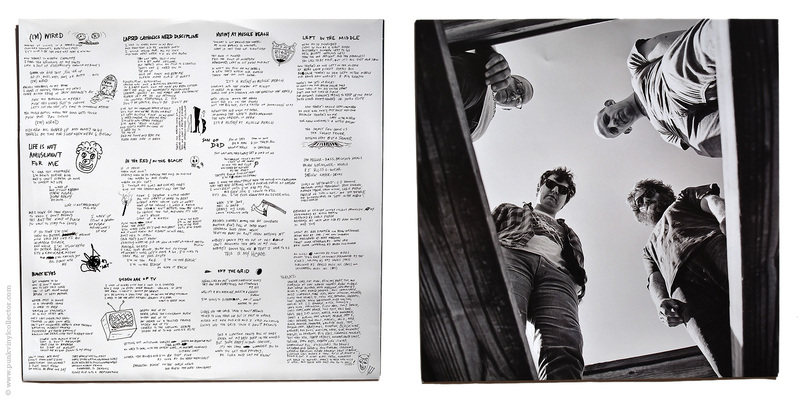 Special info: Comes with lyric sheet, download code and Taken By Surprise insert. 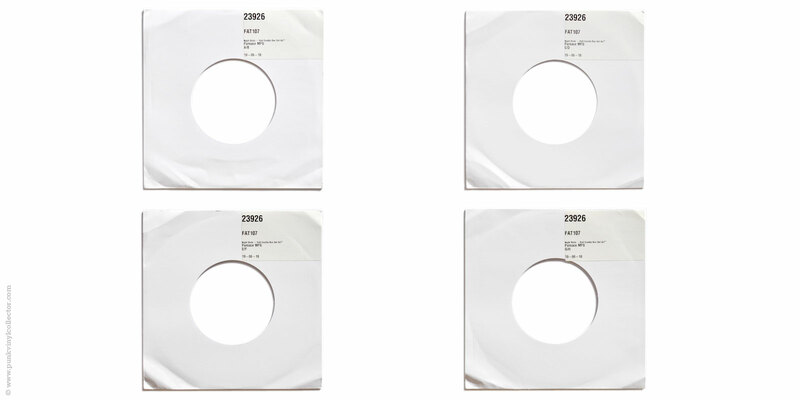 There are several EU pressings that are all the same. 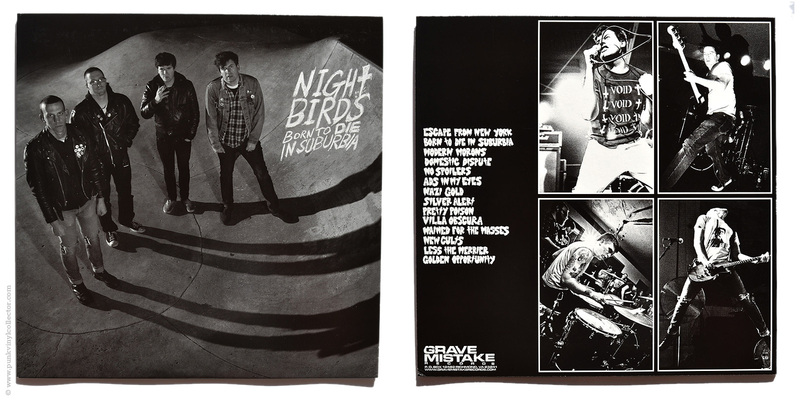 Also available as a pre-order bundle with poster, button and sticker. 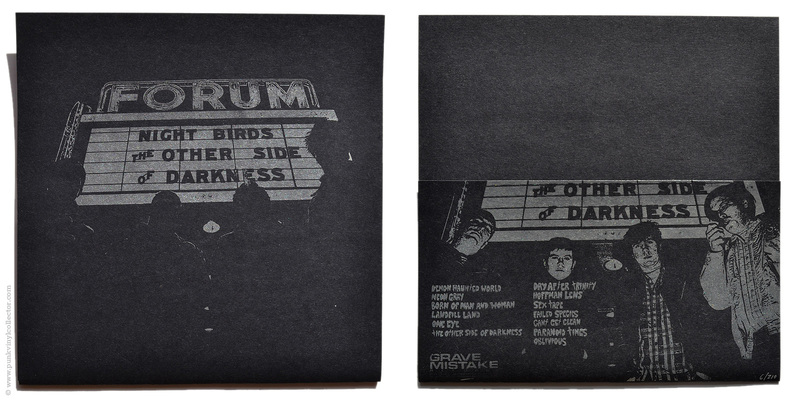 Special info: Comes in a generic black paper sleeve with a sticker on the front side. 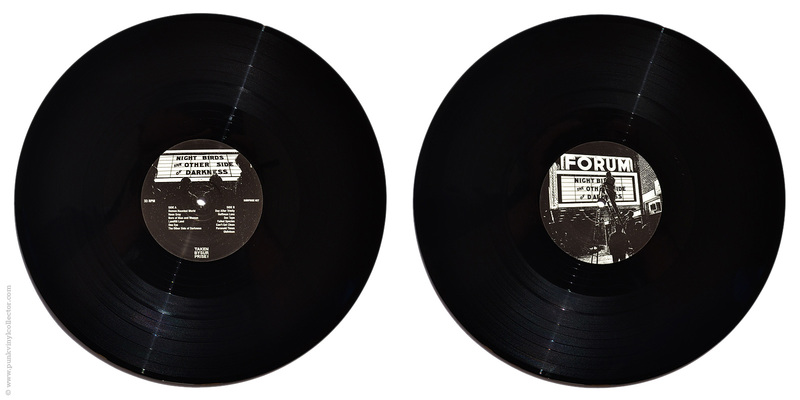 The record was only available at two shows in New York City on October 27th and 28th. 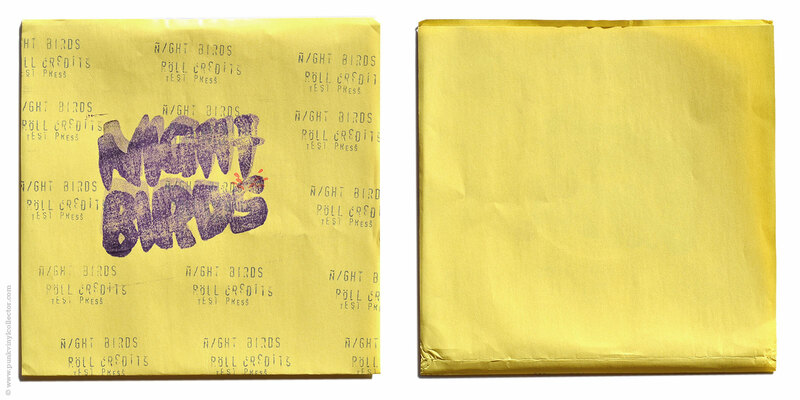 Leftovers went up a bit later on the Fat webstore. 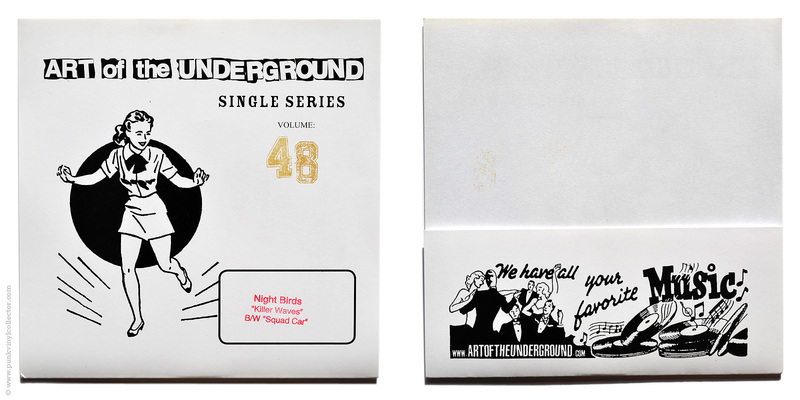 Special info: Comes with download code. 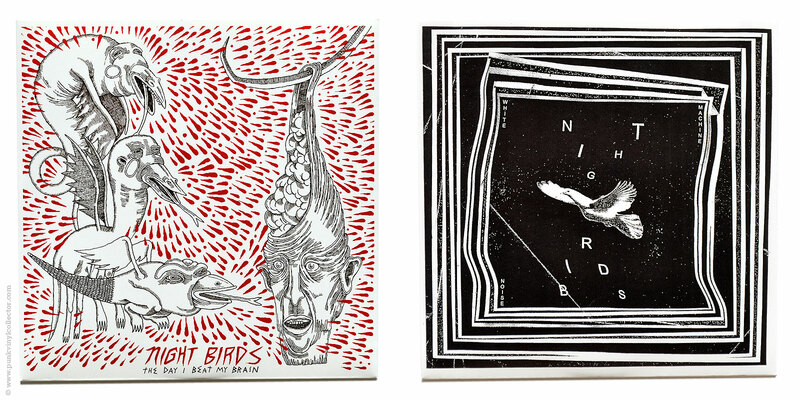 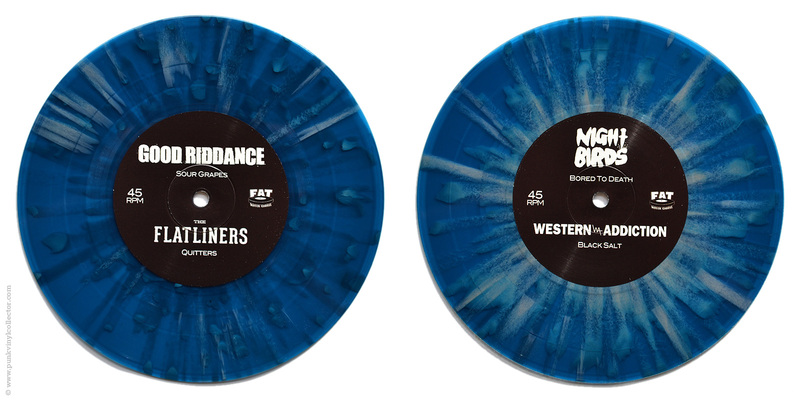 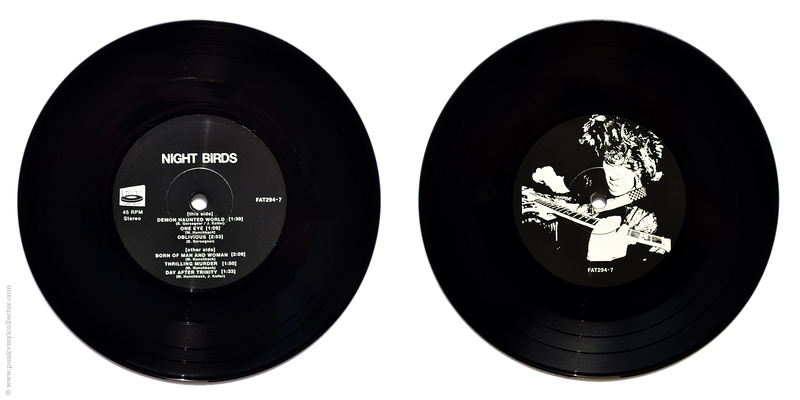 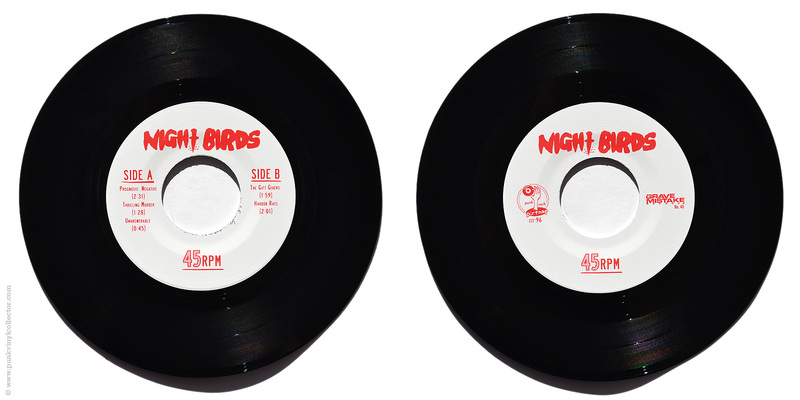 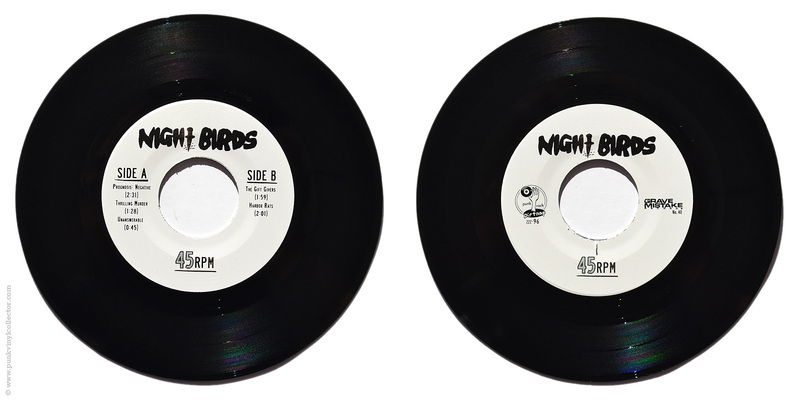 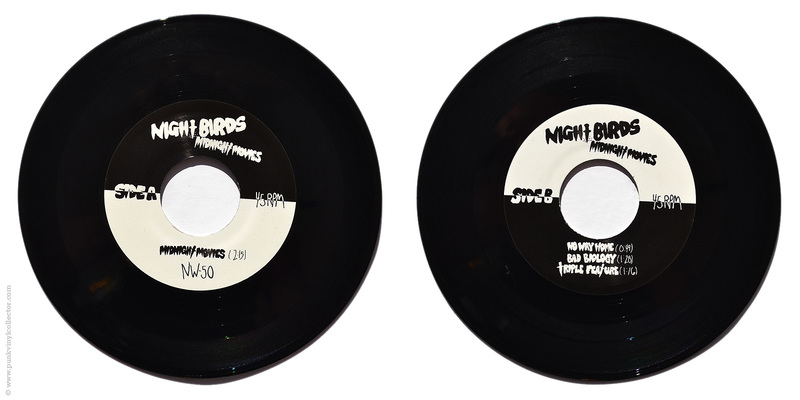 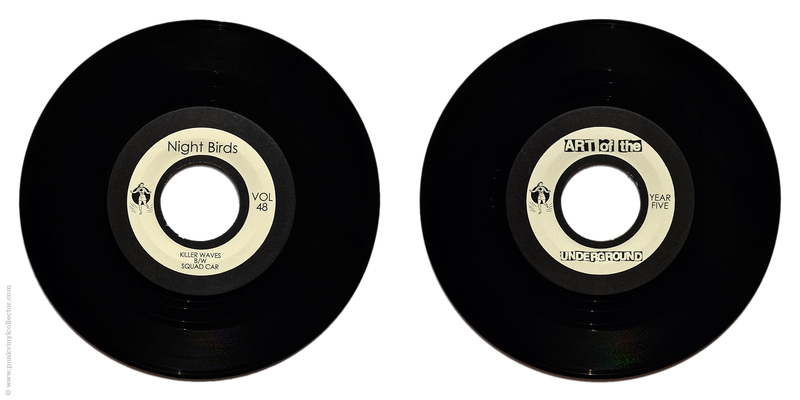 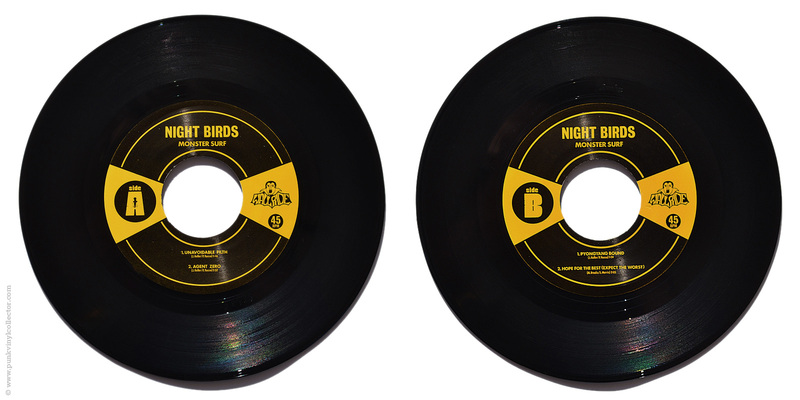 Pressing numbers given on the Night Birds discog site (/750) and Wallride Records page (/1,000) vary. 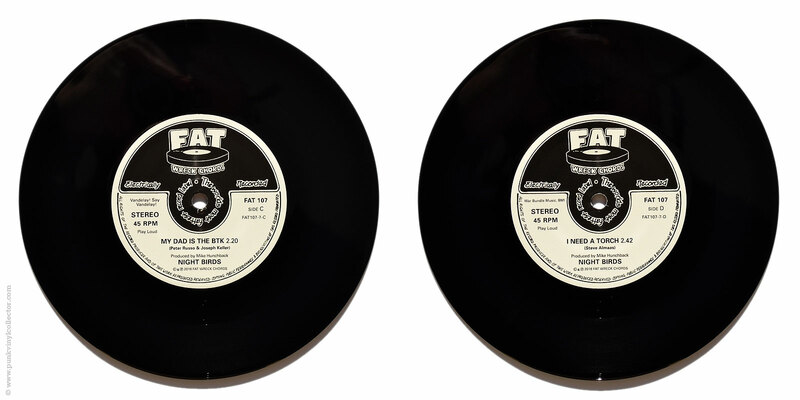 1,000 were ordered, but less than that were actually made. 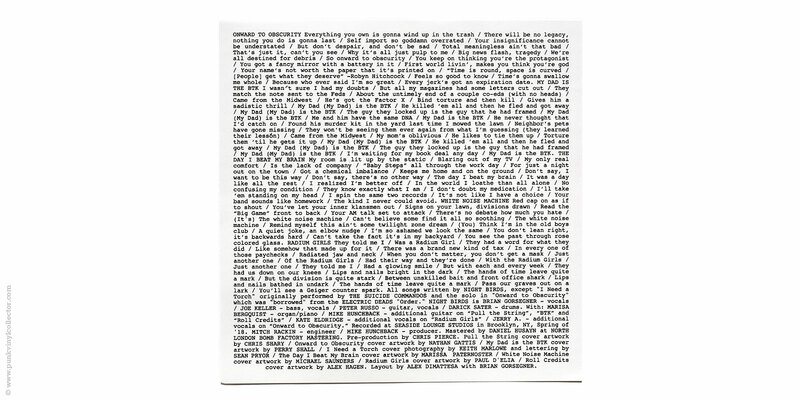 Somewhere between 750-1,000 really exist. 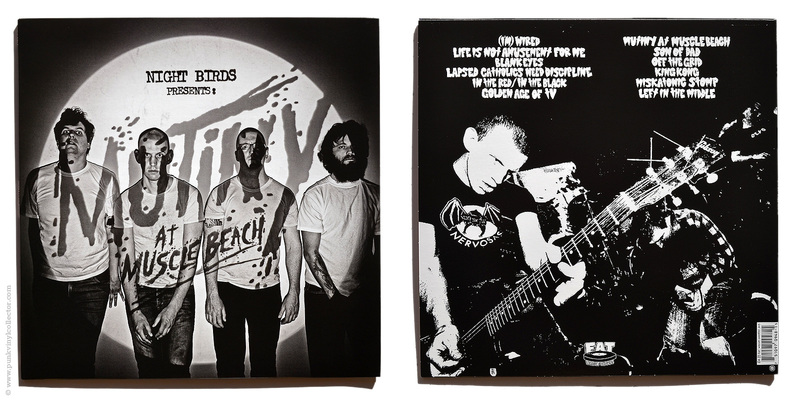 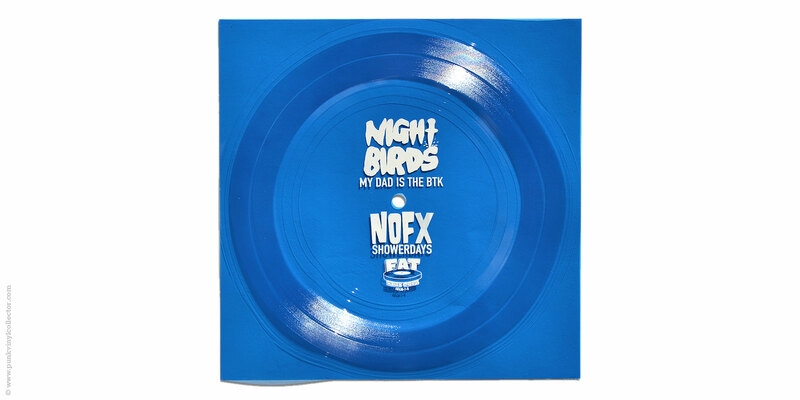 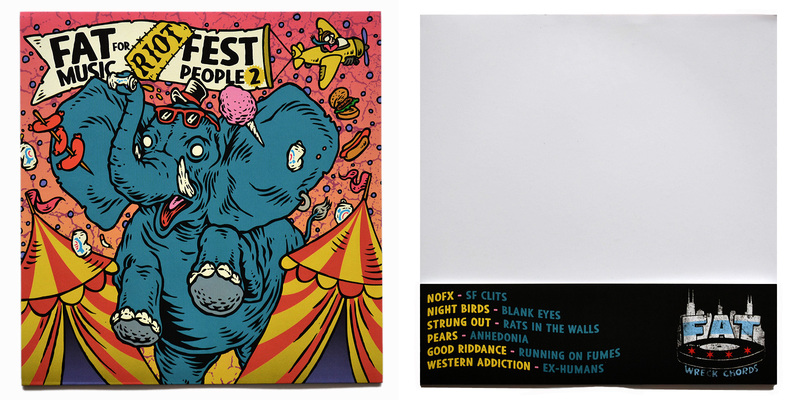 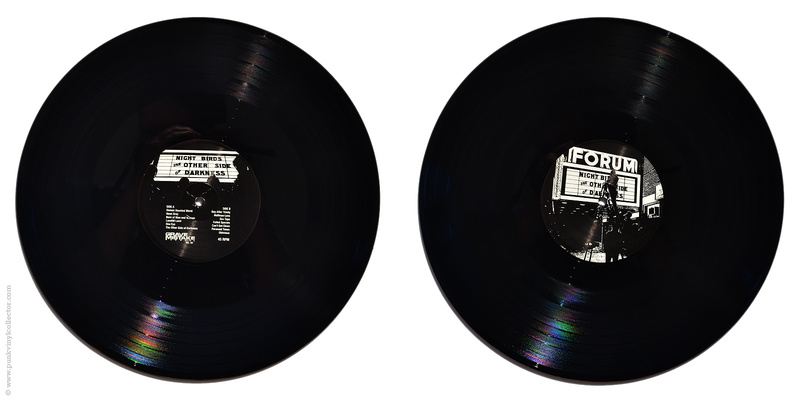 Special info: For Riot Fest 2015 Fat Wreck Chords released the 2nd part of their flexi 7” series. 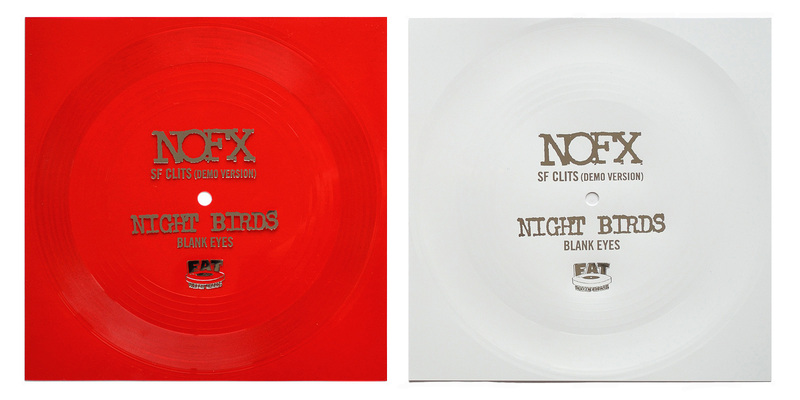 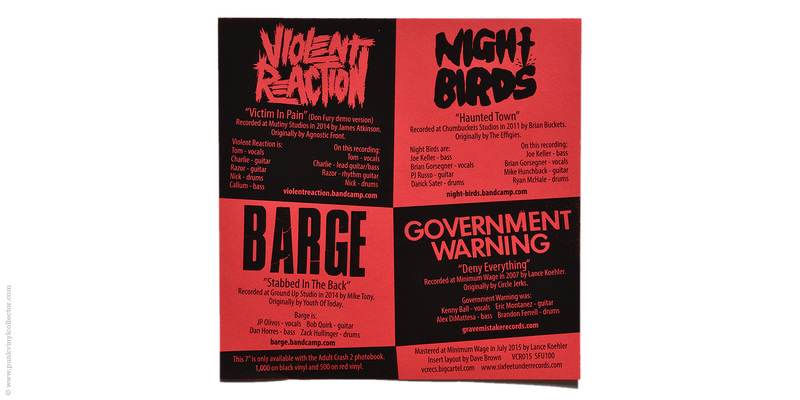 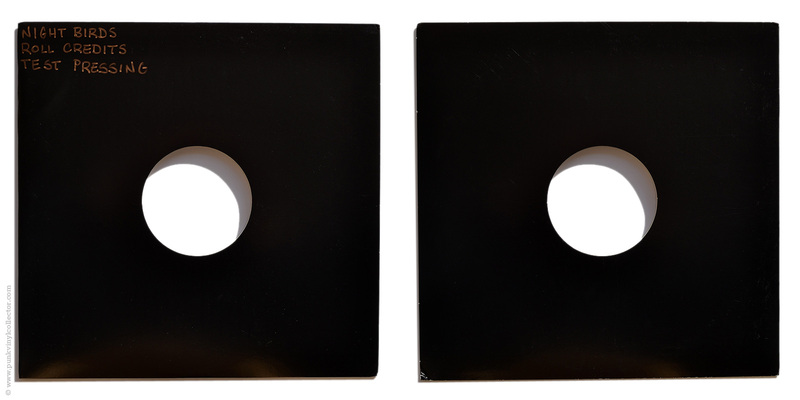 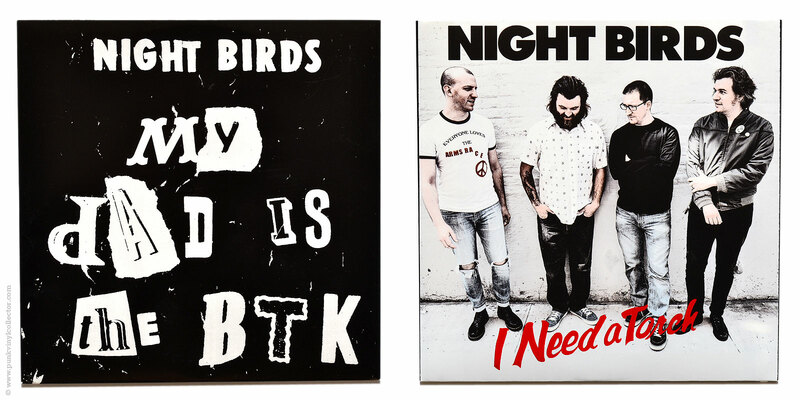 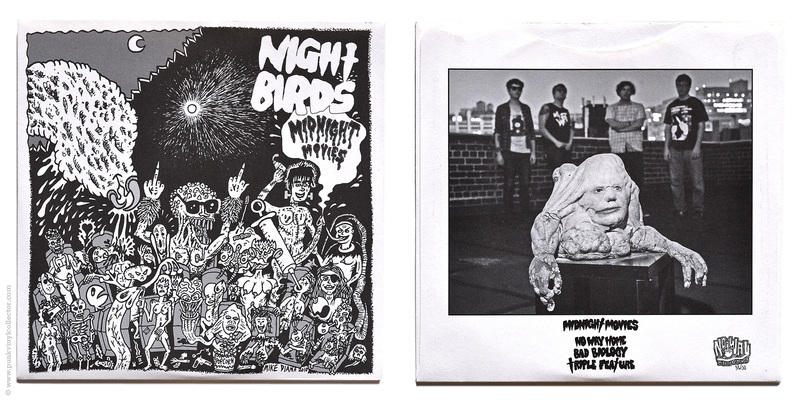 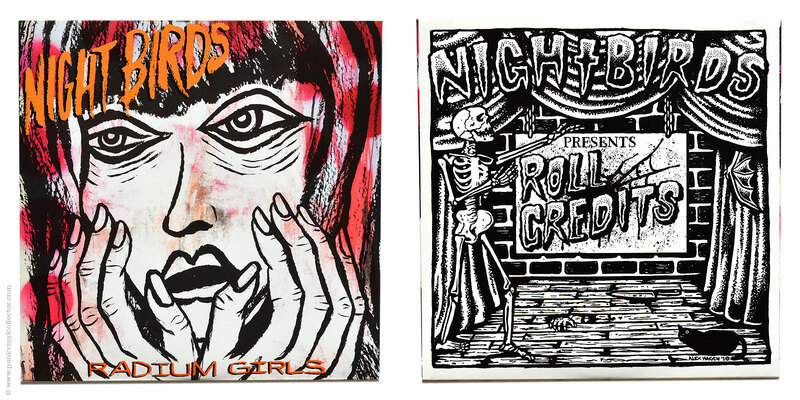 Two 3-flexi-disc packs featuring six bands. 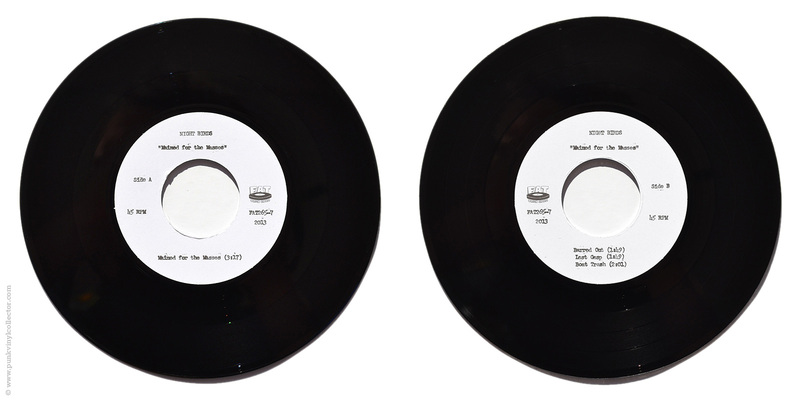 Each flexi disc contains two songs (one song per band). 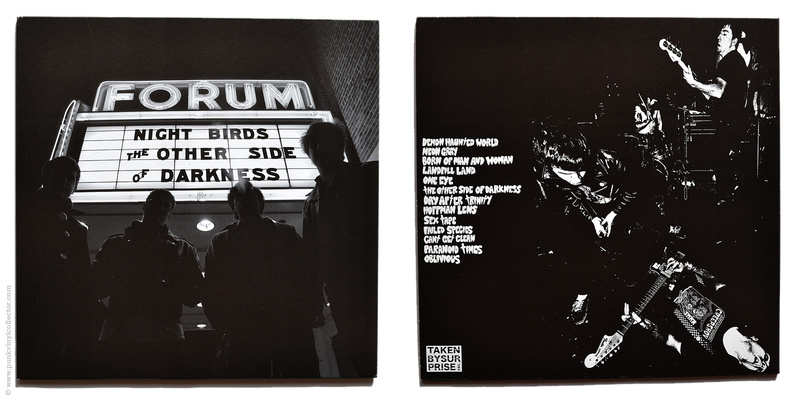 Special info: Comes with a printed inner sleeve and download code. 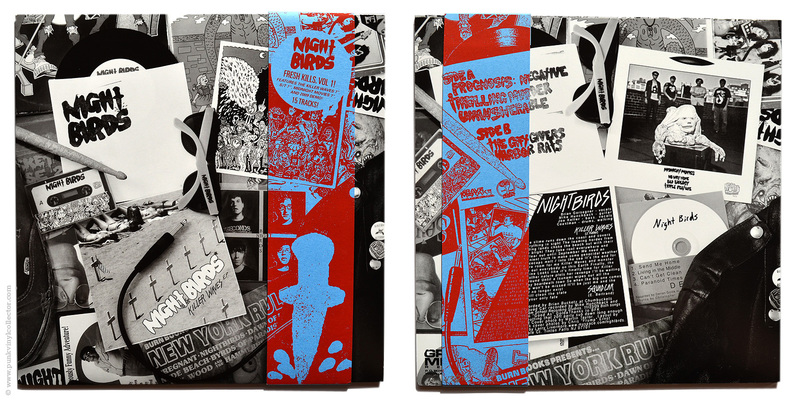 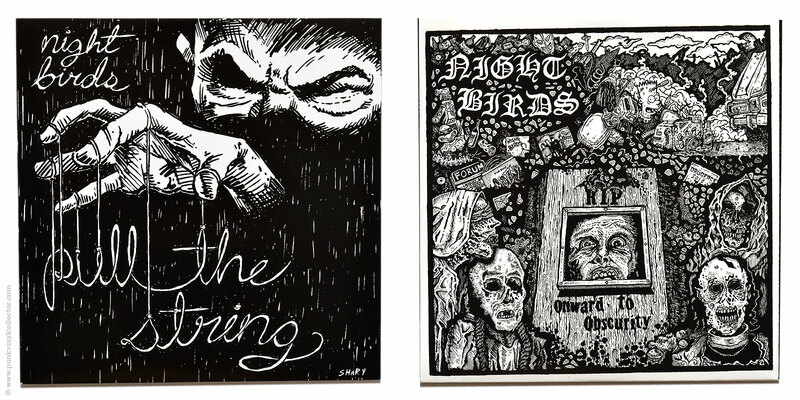 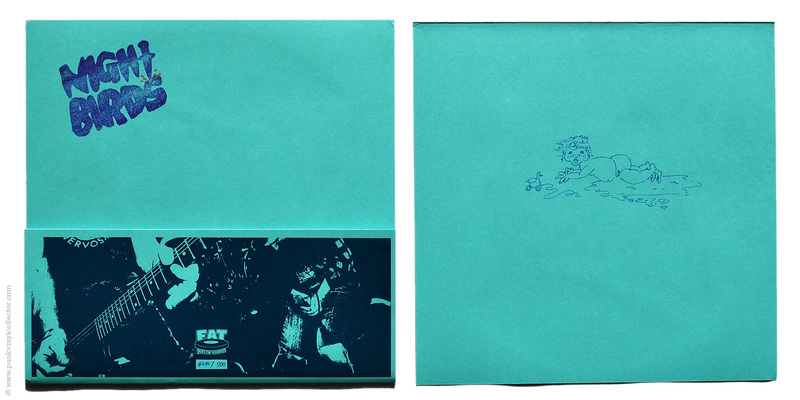 Roughly 30 – 50 of the blue screen-printed covers were stamped (mostly by Brian), maybe 20 – 30 have a drawing by either PJ, Joe, Brian or his wife Amanda. 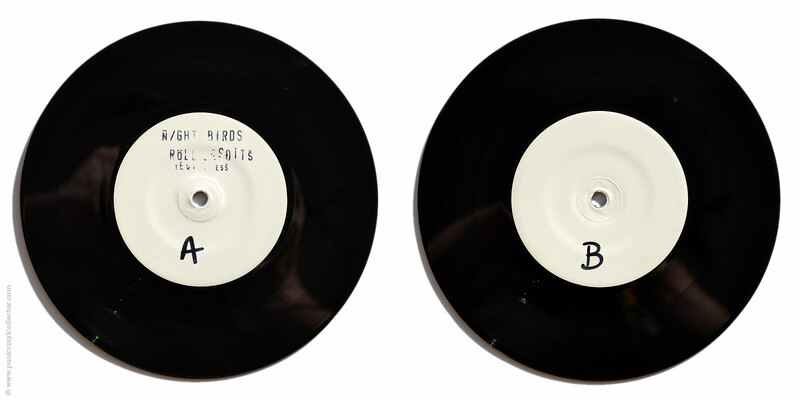 The first test pressing was rejected due to a mixed up track list. 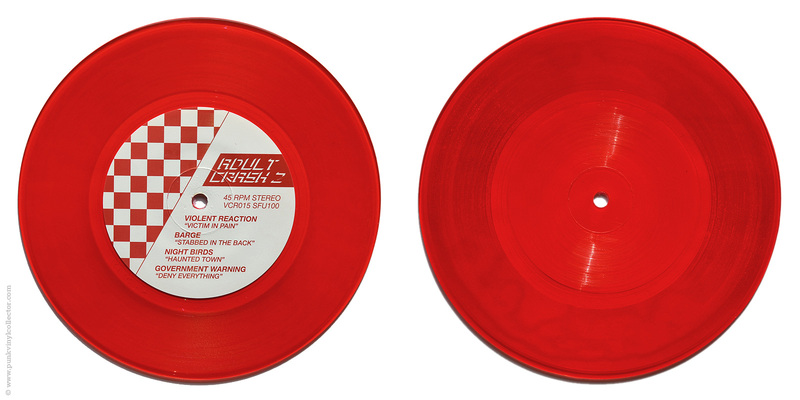 Special info: Comes in a generic white sleeve with a red insert. 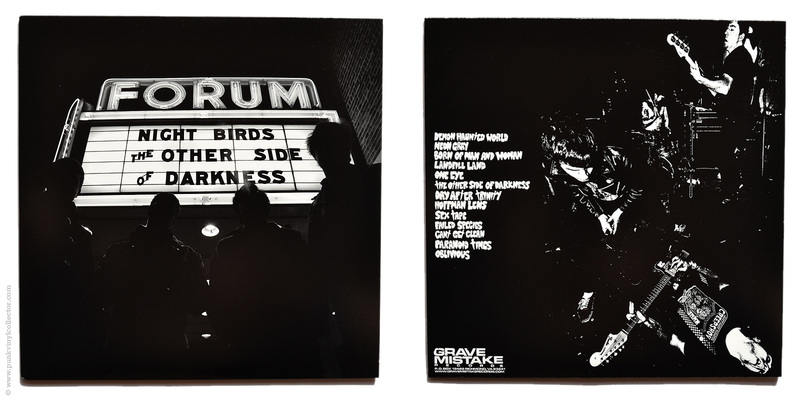 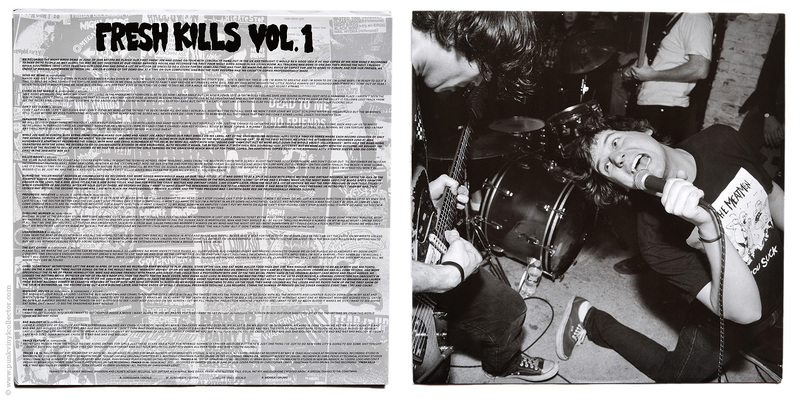 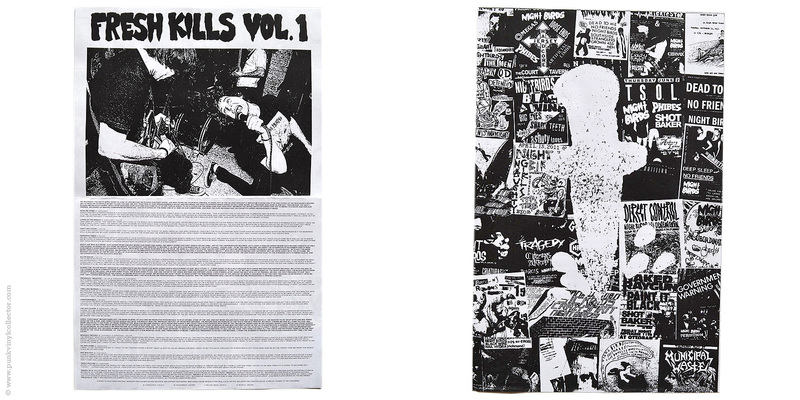 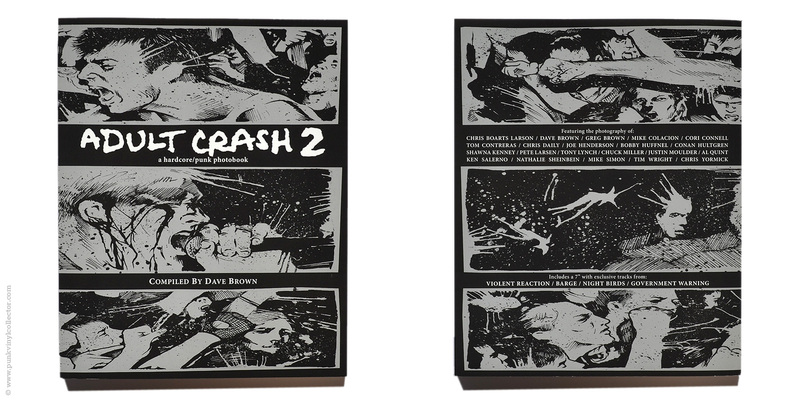 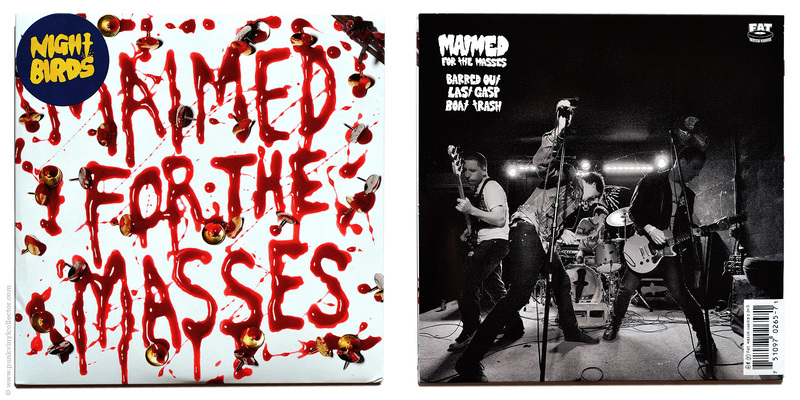 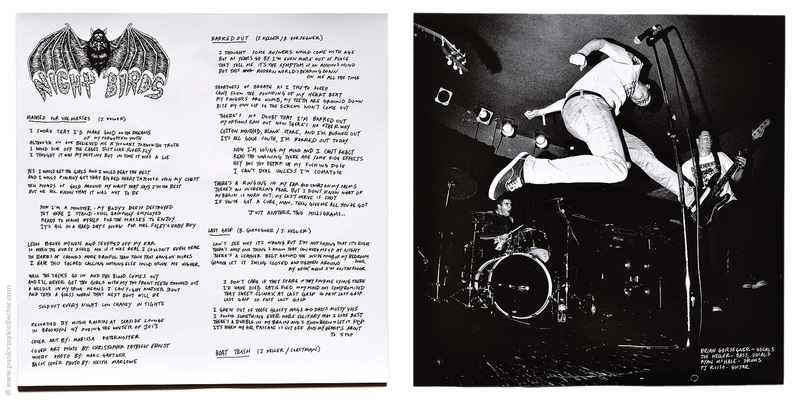 The 7” was available together with the photo book “Adult Crash 2″, 144 pages 8″x 10” photobook. 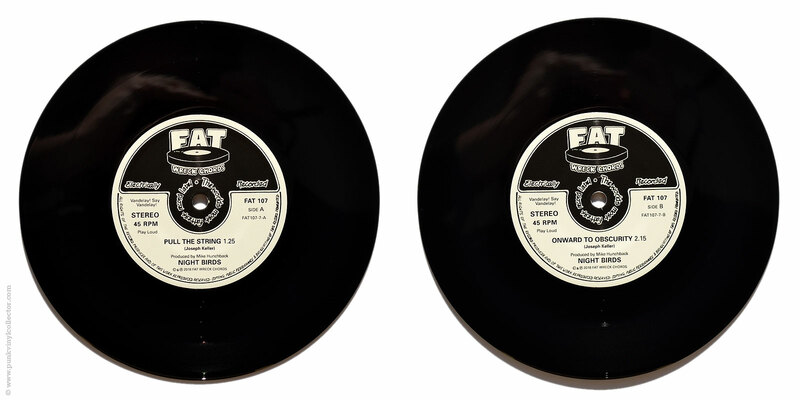 Special info: This is the 2nd installment in Fat Wreck Chords’ “Original Demos” series. 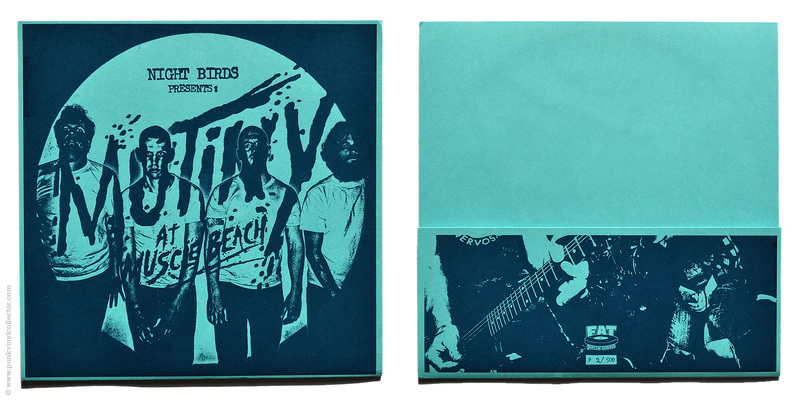 Special info: Comes with download code. 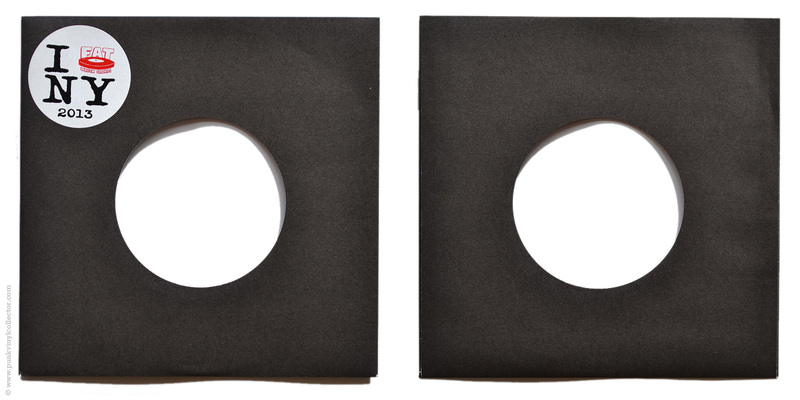 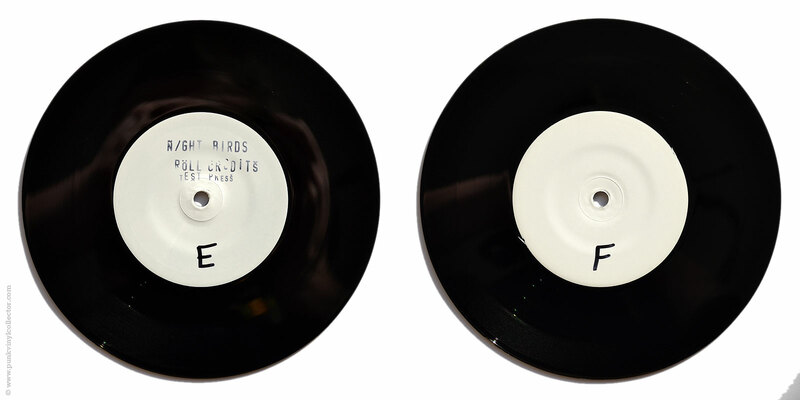 The test pressing comes in a plain black DJ sleeve. 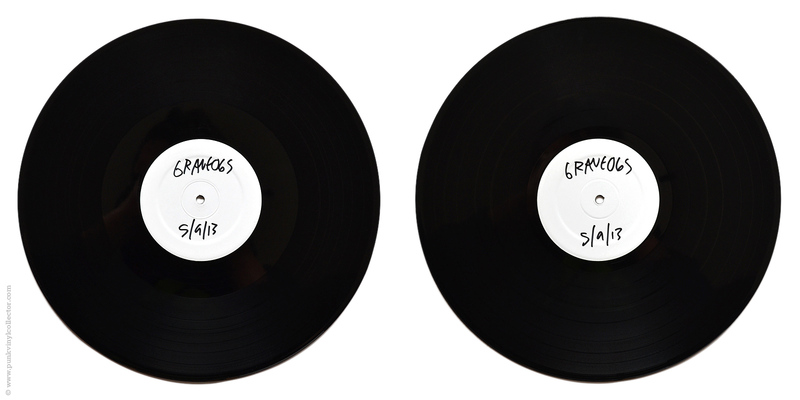 Band, title and test pressing are written on it with a bronze sharpie. 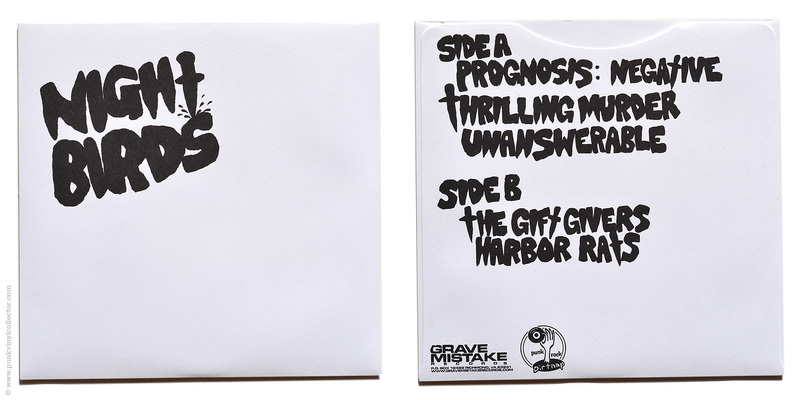 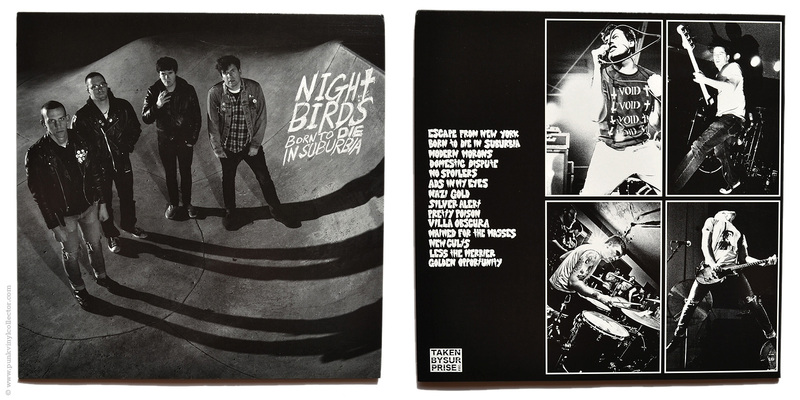 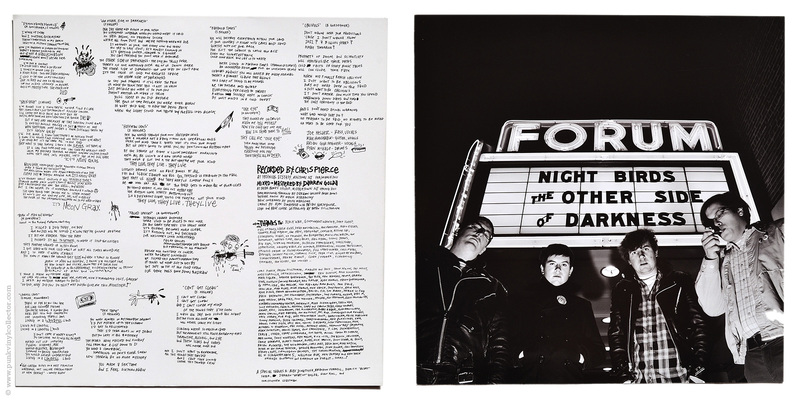 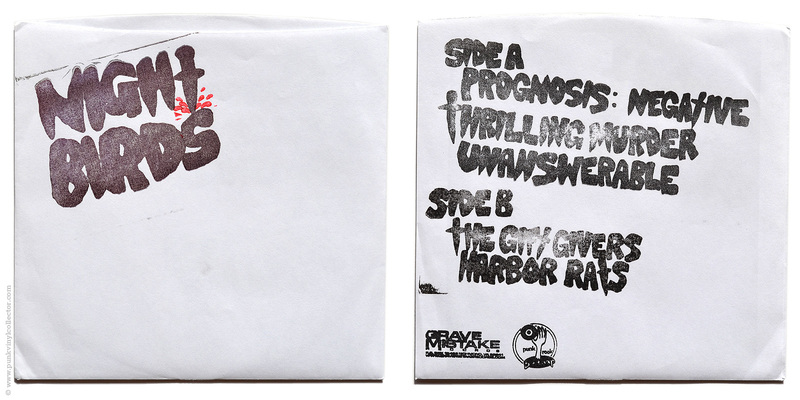 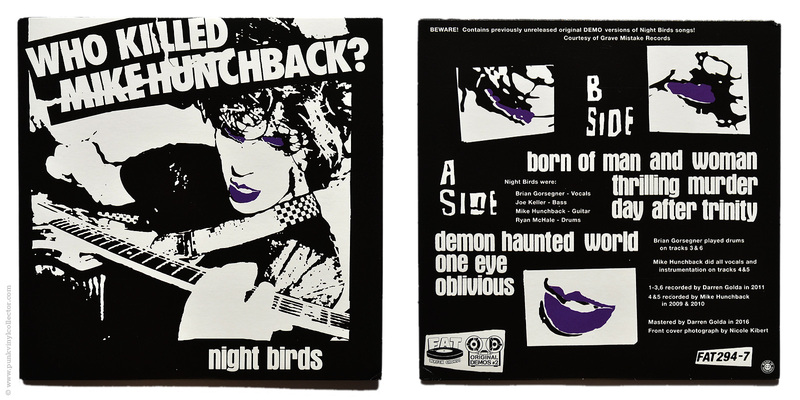 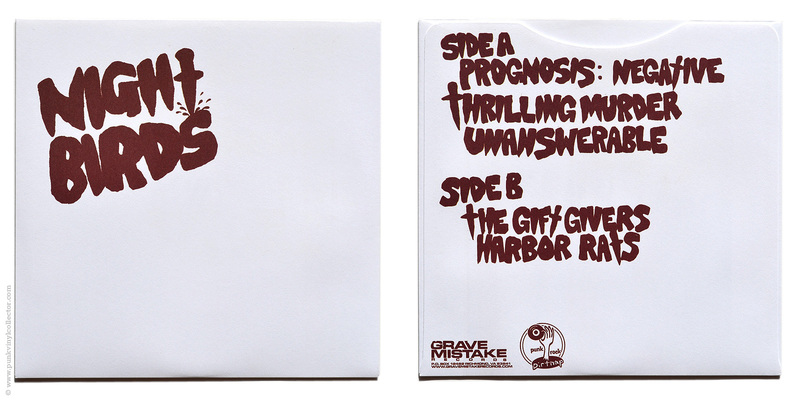 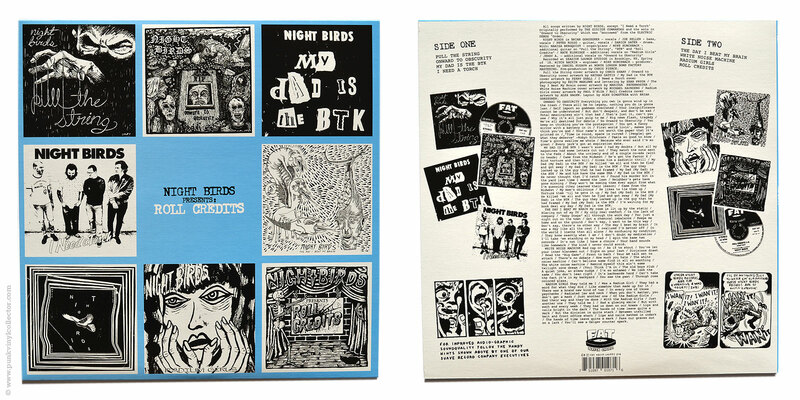 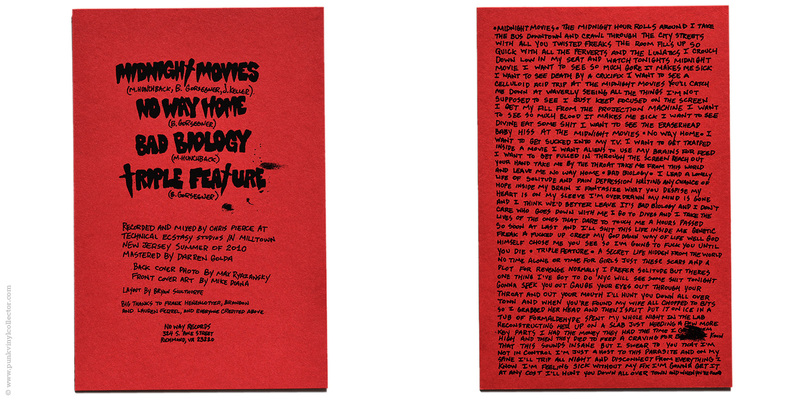 Special info: The 7” version comes as a box set with a single-sided lyric sheet. 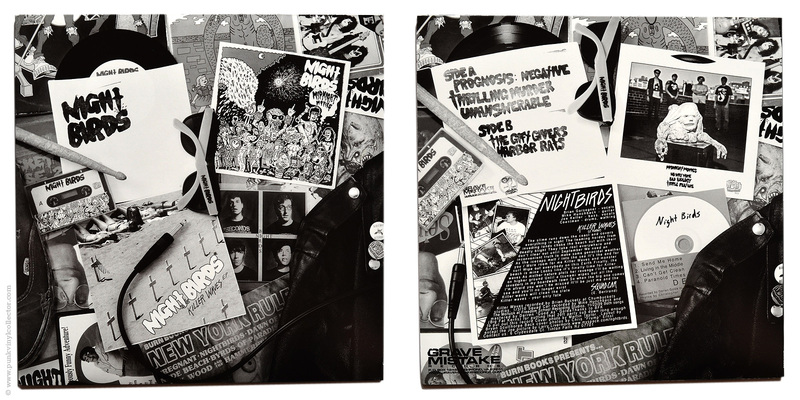 The front and the back of each of the four sleeves show pictures by different artists, one for each song. The test press set comes in a stamped and folded paper sleeve. 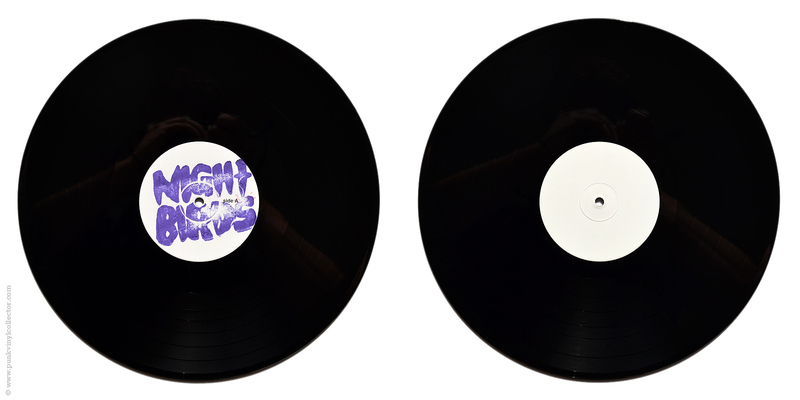 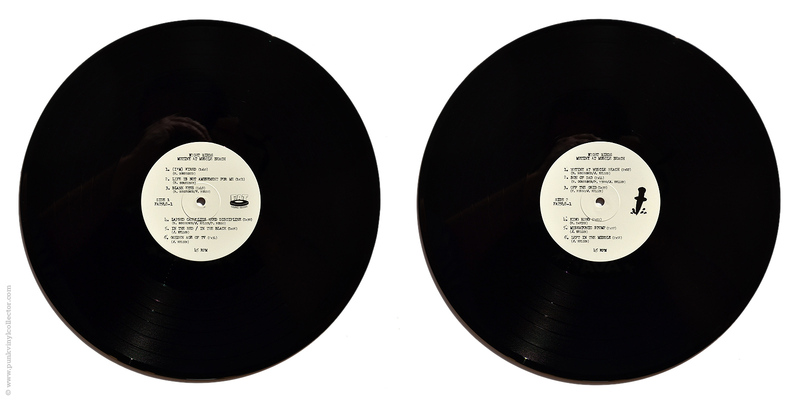 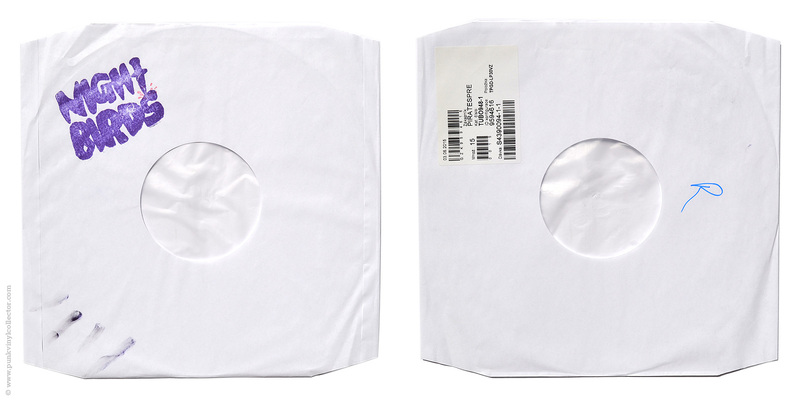 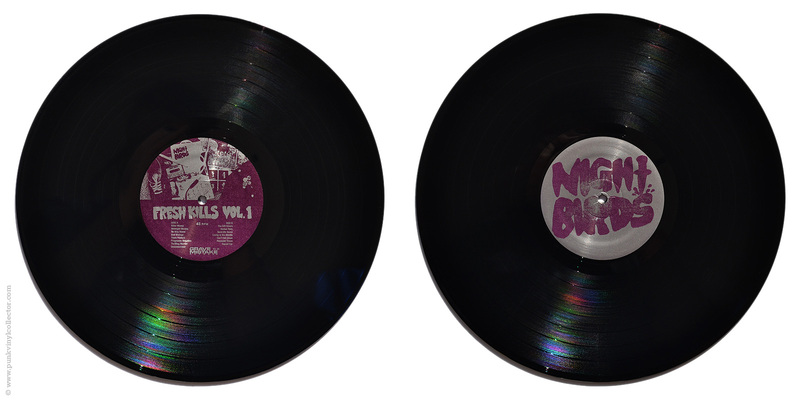 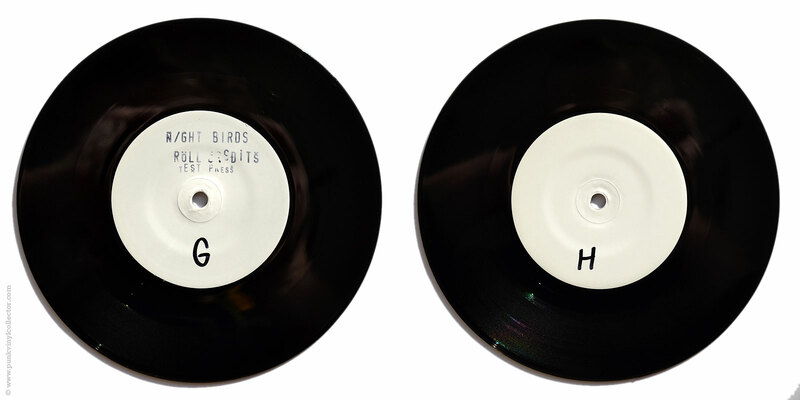 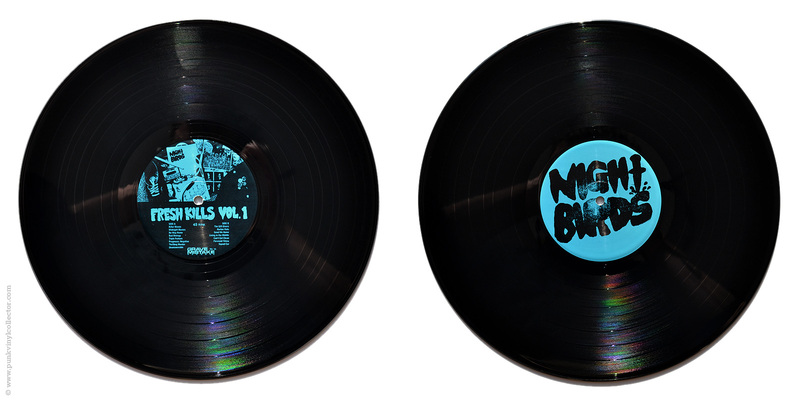 The inner sleeves are stickered and the labels of the records are stamped on the A-Side.